This week’s artisan profile is going to be a little different because, rather than one artisan, we’ve got over 20 under one tent – It’s like an artisan circus! The Bizarre Market is an underground RVA institution, organized by Bird Cox and Julia Janeczek, that’s been sharing crafty, clever creations around the city for almost a decade. 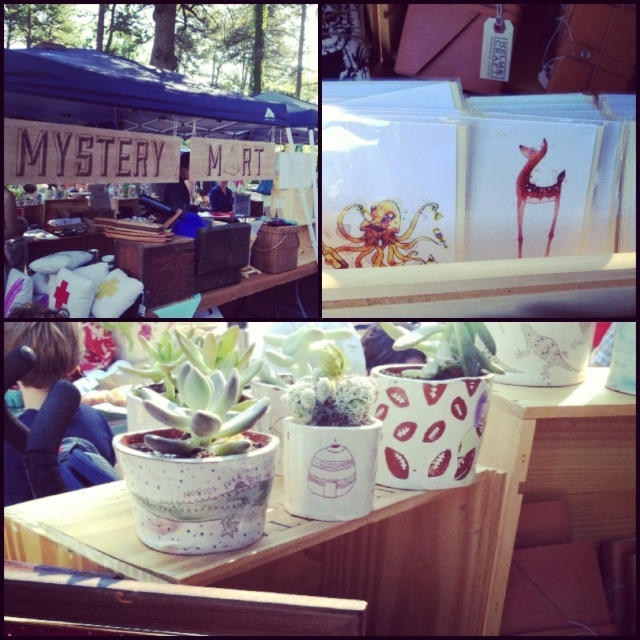 This Saturday will be their second Mystery Mart at the South of the James Market. But who are they, and what exactly is a Mystery Mart? And how can you win awesome stuff? 1. What is the Bizarre Market, and what can market-goers expect to find? Bizarre Market has been a Richmond institution for nine years. The month-long holiday handmade market has made its crafty way from the original VCU-area Chop Suey Books to the new Carytown location, and one-day vendor markets (in which the vendors set up their own booths for the day) have happened alongside awesome events like the Jonny Z Fest, RVA Street Art Fest, the Easter parade and other fun happenings over the years. One-day markets are come one, come all, so you never know what you’ll find there! Set-up is welcome to any and all makers and collectors. 2. What makes the Mystery Mart special? MYSTERY MART is Bizarre Market’s pop-up branch project, and it features a curated selection of handmade and vintage excellence from 25 vendors in the mid-Atlantic area. MYSTERY MARTs have appeared at Hardywood Craft Brewery beer releases, the South of the James Market and Broad Street block parties, and it’s a magical place to find well-crafted gifts and goods. 3. What kinds of goods are we talking about? Who are some of the vendors who participate in the Mystery Mart? 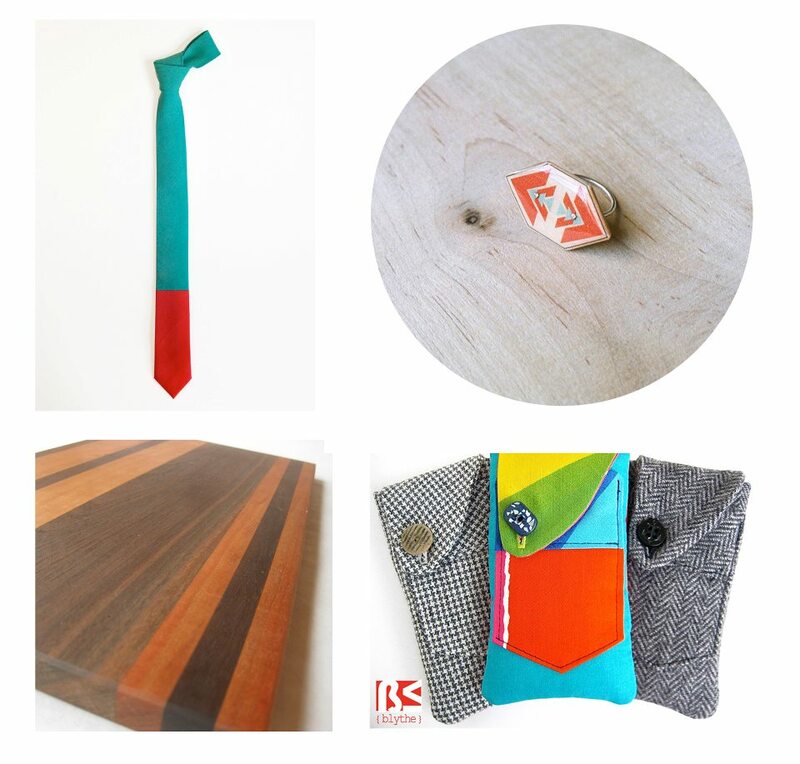 A small sampling: meticulously crafted ties by Richmond Thread Lab, hand-sealed brass finery by Julia Dent, modern leather bags by designer Angela Bacskocky, Richmond Soap Studio goodies, small-batch soy candles by Square Trade Goods, greeting cards illustrated by Holly Camp, plush buddies by Phil Barbato, and handmade cutting boards and wooden treasures by Christina Boy. 4. What’s the process to become a Mystery Mart vendor? Just email us at bizarremarket@gmail.com and you’ll receive info (including how to apply) for all of our events – MYSTERY MARTS, one-day markets and the holiday extravaganza. Our inaugural experience happened on a sunny, beautiful day that was filled with extraordinarily nice people who asked great questions. We always so pleased when shoppers appreciate the time, love and experience that our hand-makers put into their work; whether they’re breaking crafty new ground or honing traditional skills, they all put a huge amount of effort into what they send to us. Previous Previous post: Seasonal Eating – July Recipe Share and Giveaway!